On July 28 we got web and email notice that the church’s application had been approved. By Aug 1 the awaited document was in my hands via courier. 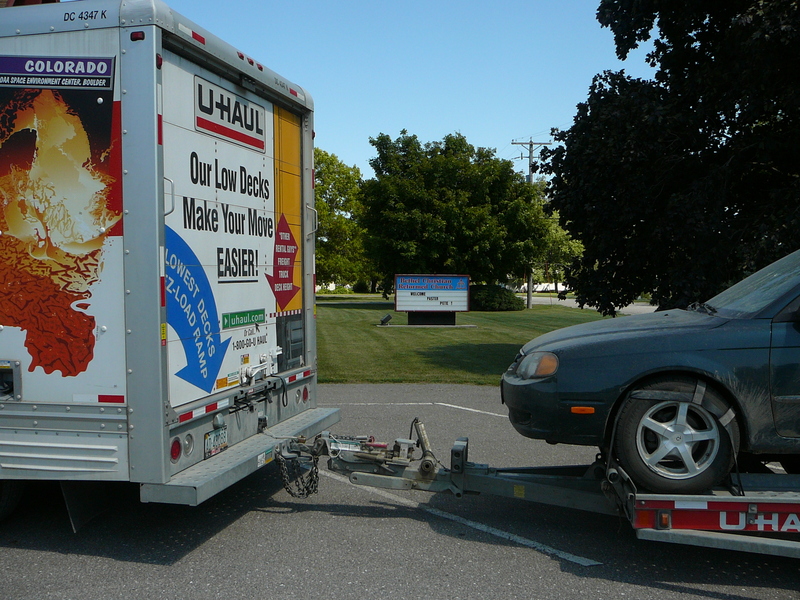 I booked a truck, and my son Greg helped me load up (twice! The power-steering on the first truck we loaded failed, so we had to move everything into another! 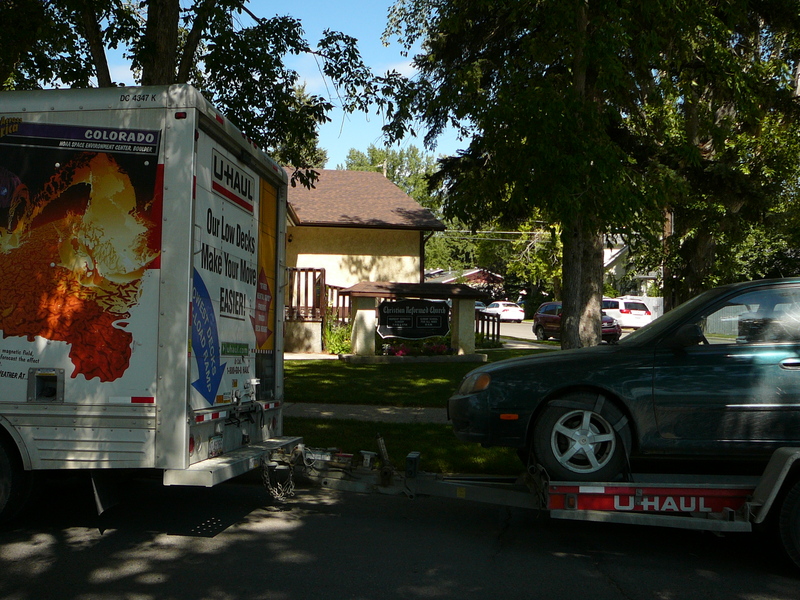 Got some appropriate discounts from the company as result) Here is a picture of it in front of the Mobile/Trailer I was living in near Brant Alberta. Gratitude for God’s providence in the church in Saskatoon and High River giving me survival employment and an opportunity to be Kingdom usefull while I was waiting for the paperwork remains strong for me. They paid me to preach and do some work, and both provided me free places to live. My rig parked in front of High River CRC. I crossed the border after some grilling and some warnings and submitting fingerprints. 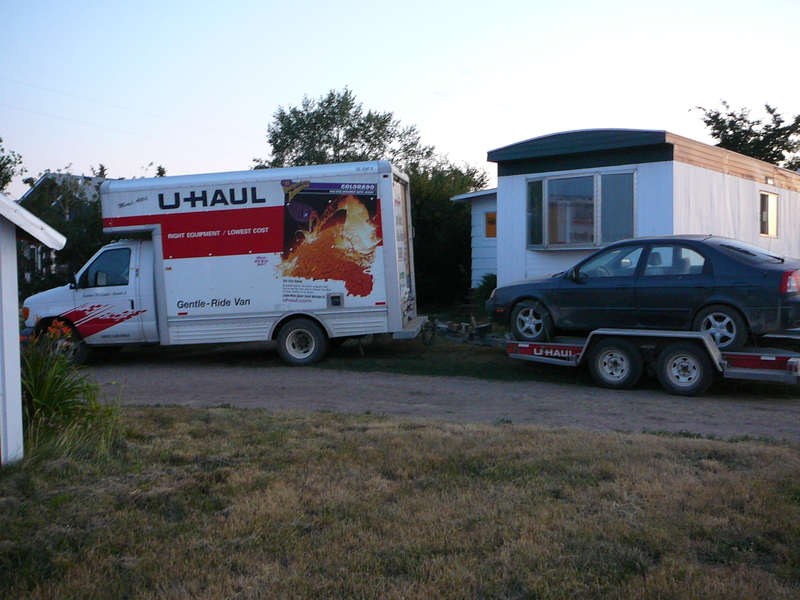 I arrived in Oskaloosa Iowa on August 9, and it was a HUGE relief to finally be here. My rig in front of Bethel CRC in Oskaloosa.